This is Drew Henderson performing Allemande BWV 996 by J.S. Bach. The Allemande consists of two parts, both repeated with ornaments. This makes four parts in one piece which in this video are used to compare four different guitars, built by four different makers. In order of ‘appearance’ you hear instruments by Douglass Scott, Mathew Rubendall and James White. From 2:05 you can listen to a cedar top 2A guitar by me. Listen and judge yourself. 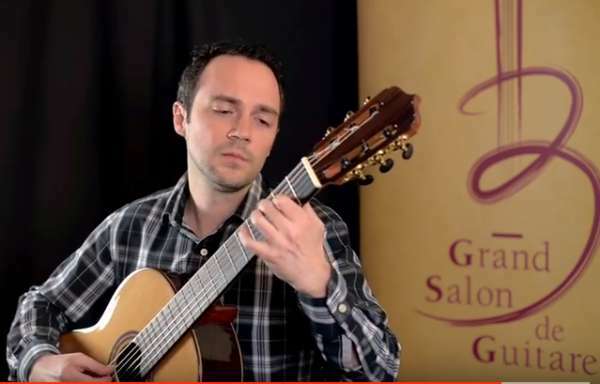 The 2A guitar from this video can be bought at the Canadian store Grand Salon the Guitare where the video was recorded. You can order a 2A guitar with one of my dealers or directly with me.